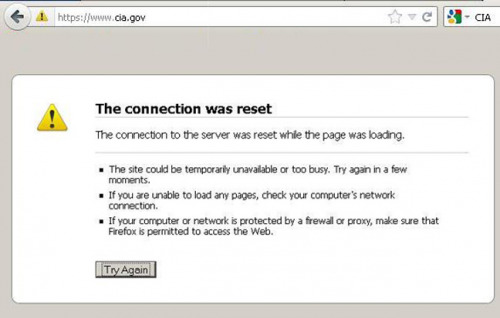 “CIA TANGO DOWN: cia.gov,” reads a tweet from an Anonymous-affiliated account. The CIA takedown is only the latest digital assault in a recent wave of Anonymous activity. Late last week, Anonymous went on an all-day hack-and-leakathon, targeting the FBI, Scotland Yard, the Boston Police Department, the Greek Ministry of Justice and the law firm that defended a U.S. Marine who was involved in a 2005 massacre of Iraqi civilians. The group released files from that law firm along with an audio recording of a conversation between the FBI and Scotland Yard about a joint cybercrime investigation. 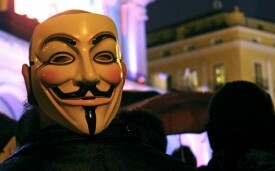 Tuesday, Anonymous struck again, posting the sensitive data of city officials from Oakland, Calif., in response to the city’s handling of Occupy Oakland protesters.